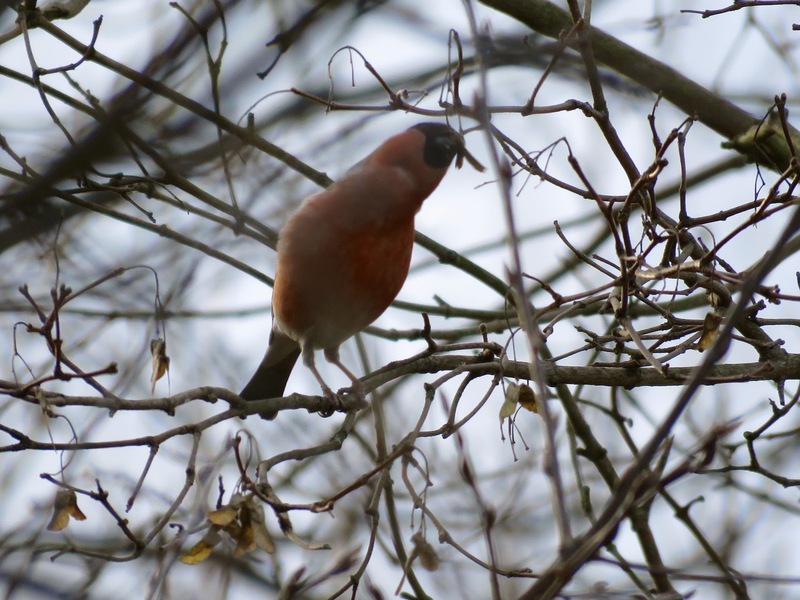 Bullfinches are generally shy and unobtrusive, they tend to stay hidden in vegetation and show little. It helps to recognise their sad contact note. I see them around regularly enough, but good views are rare. That's why I got quite excited that a pair of Bullfinches, Pyrrhula pyrrhula, recently started to frequent the local wildlife garden, giving me an opportunity to become more familiar with their behaviour. I first noticed a female, funnily enough at the Big Garden Birdwatch. I heard a specially mournful version of their call, possibly she had lost track of her mate. 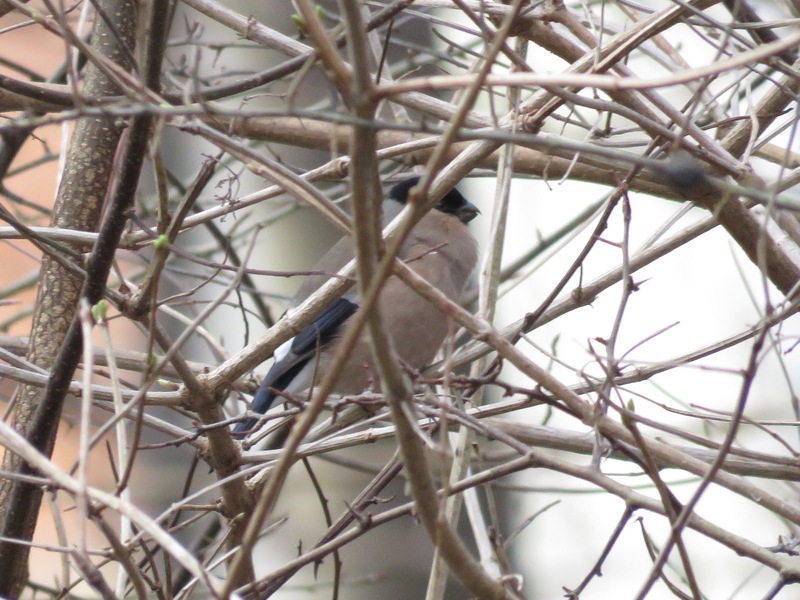 The next day, both were around, skulking in the trees and hedges, occasionally coming to the ground to feed. They stayed close to each other, but still called regularly. They appeared to be feeding on buds and Guelder Rose berries. 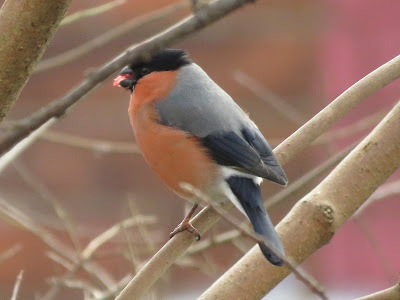 Yesterday, the pair was about, feeding together on Sycamore seeds, the last remaining ones on a tree, and had to stretch and balance precariously on the branches to get at them. Despite their stockiness, they are quite nimble. They peeled the seeds using only their parrot-like bills, unlike goldfinches that have to hold the seed with their feet. 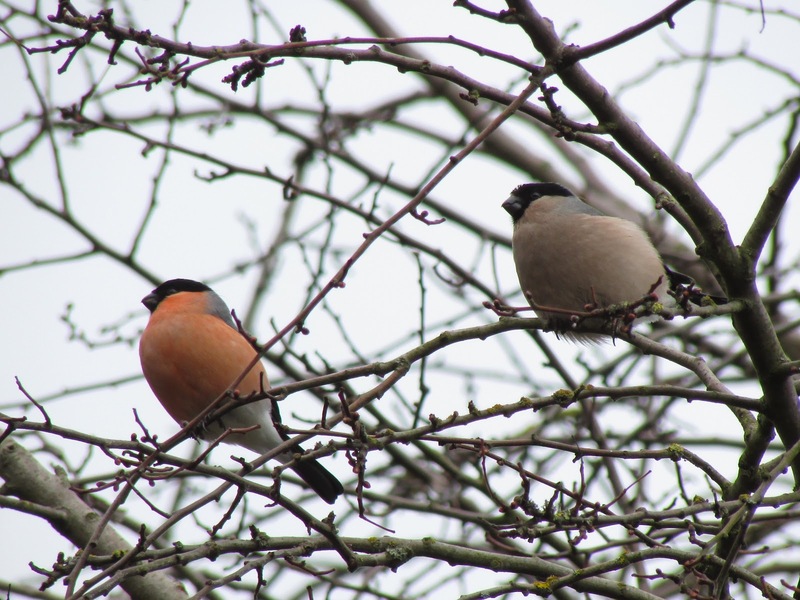 Bullfinches will feed on buds in spring. 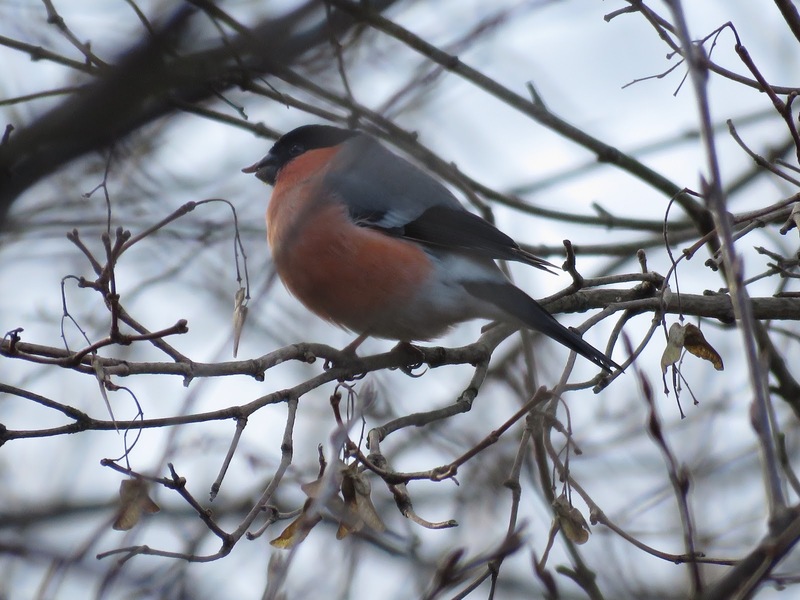 In autumn they feed on tree seeds, like Ash keys, Birch and Sycamore. 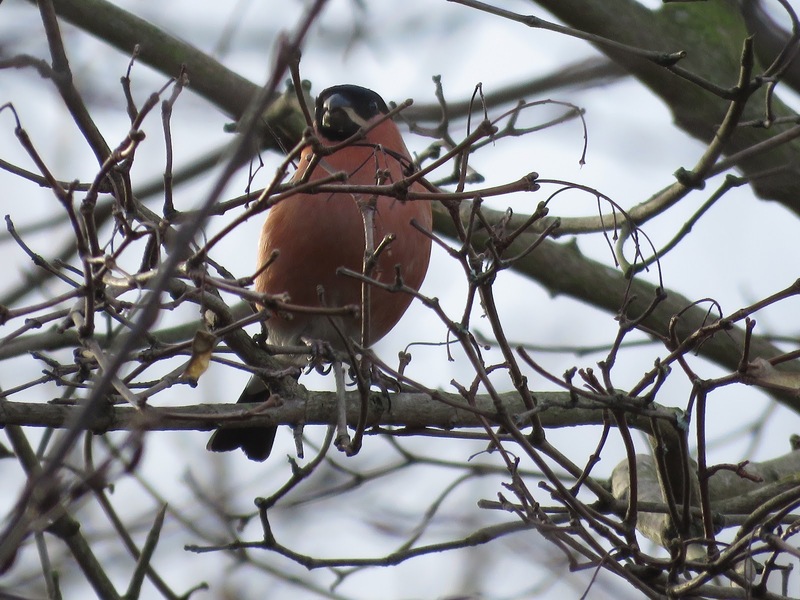 Bullfinches are seed predators of berry producing trees: they discard the flesh of the berry and feed on the seed itself. Lovely post Africa. I have been watching Goldfinches eating Ash keys recently, I was unaware of it beforehand. Thank you Toffeeapple. Lovely! Yes, I didn't realised until recently that Ash keys were eaten by birds, I am used to see them just hanging in trees. I bet is a good fallback food for these birds at a time of the year when other sources of food are scarce.